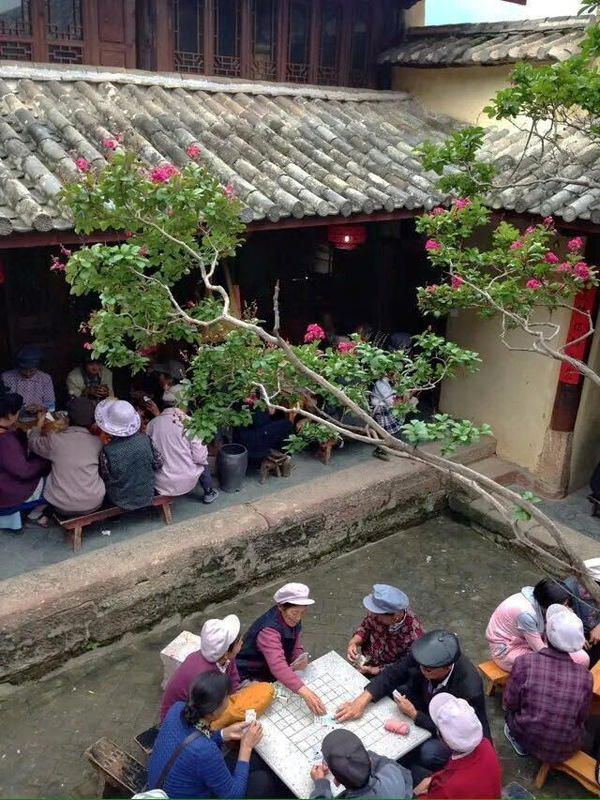 As part of our commitment to sustainable development in Shaxi Yunnan, the Ginkgo Society supports Shaxi service learning programs that promote cultural exchange and contribution to the greater Shaxi community. 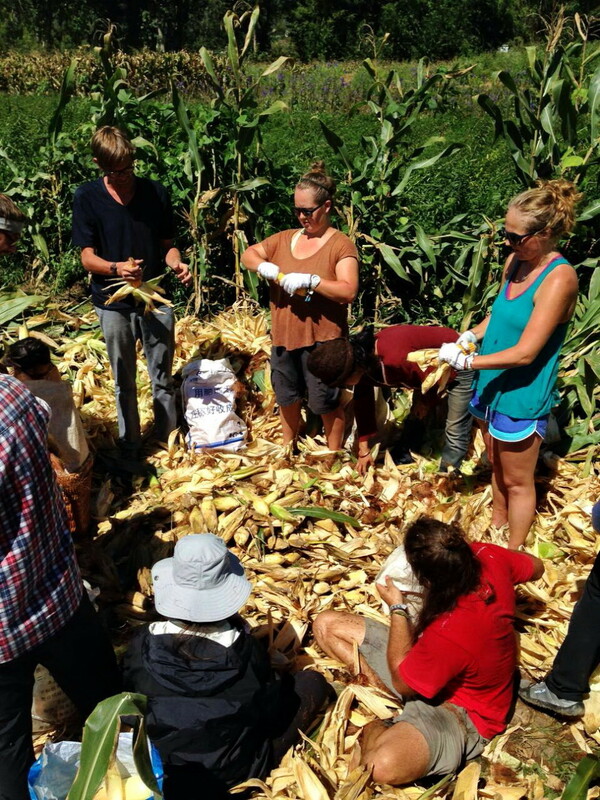 This month we welcomed sustainable tourism graduate students from the U.S. who took a guided tour of the Pear Orchard Temple and worked on a local farm. 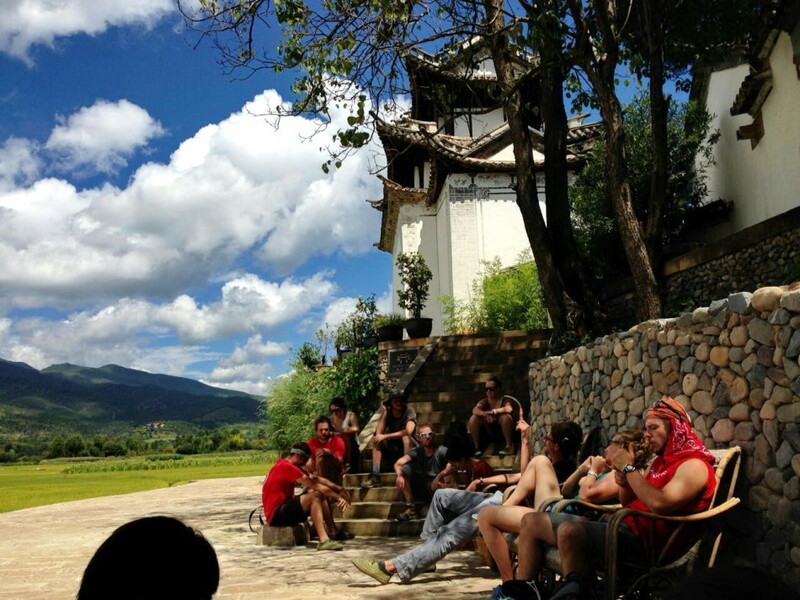 The group was expertly led by HiddenChina tours, and included one night accommodation at the Li Family Courtyard, a homestay family experience established by the Ginkgo Society in 2012 for international school groups. 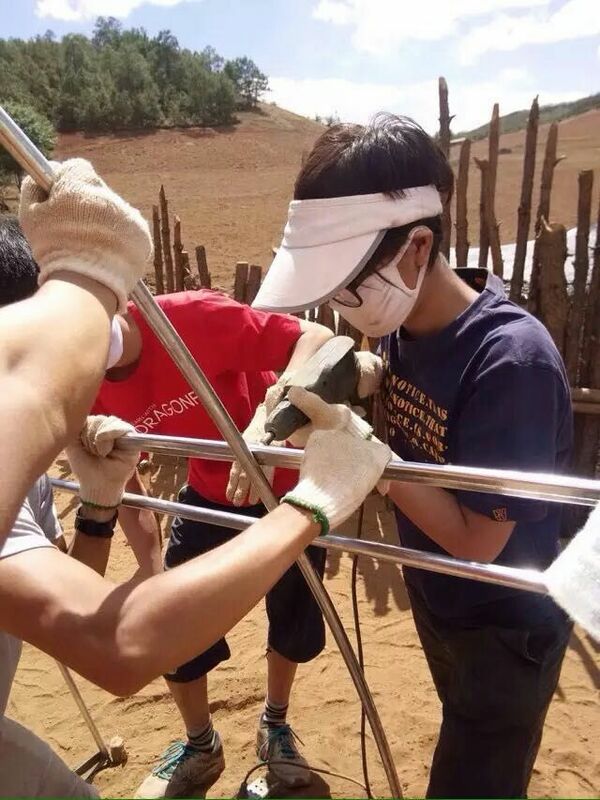 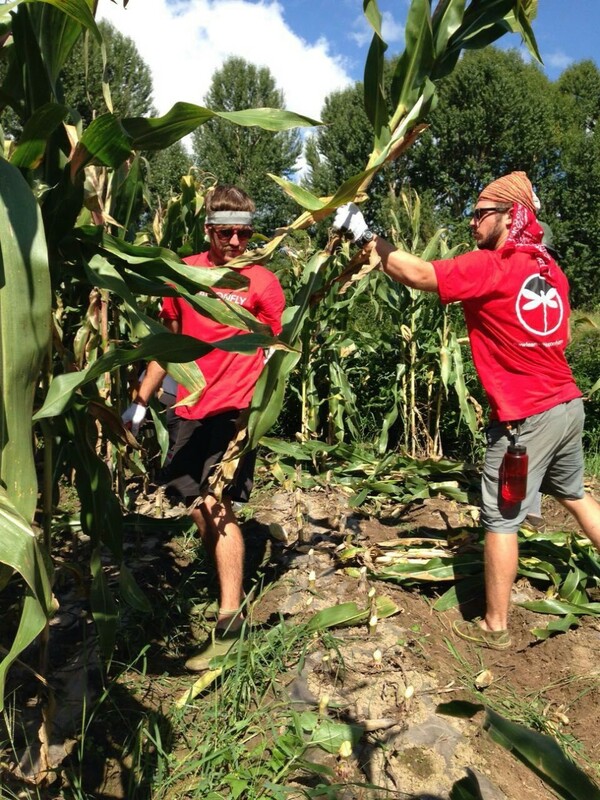 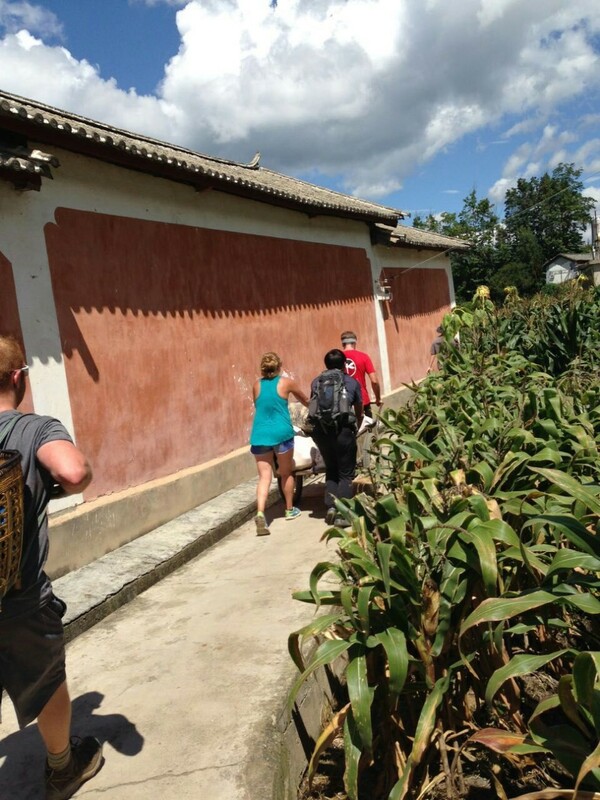 The students harvested corn and brought it back to Duan Village, where they distributed it to local families. 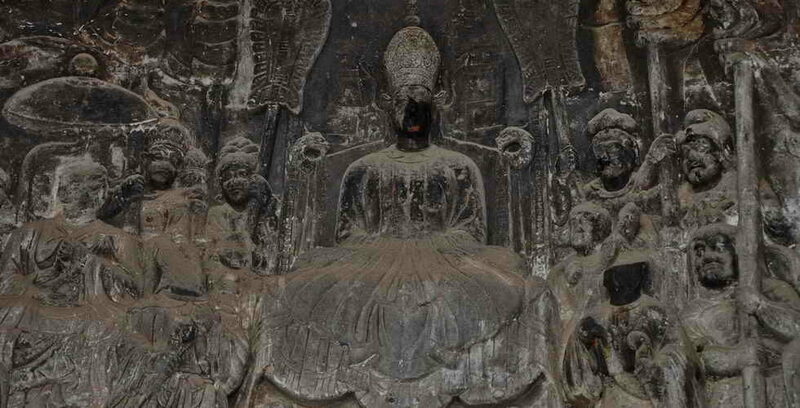 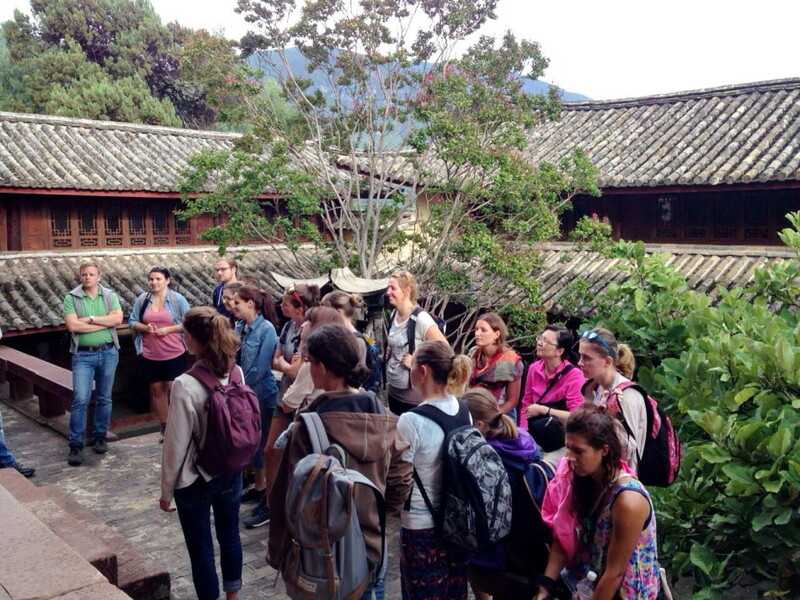 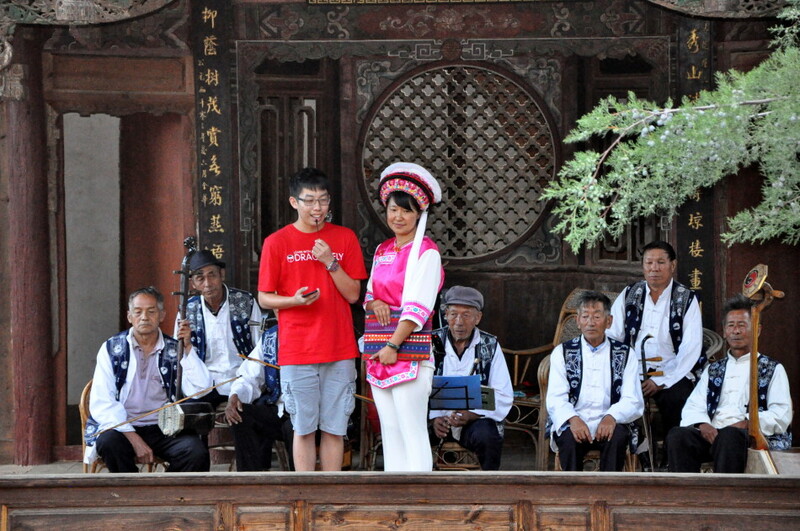 At the Pear Orchard Temple the students learned about the history of Azhali Buddhism in Shaxi and enjoyed a traditional music performance at Old Theatre Inn. 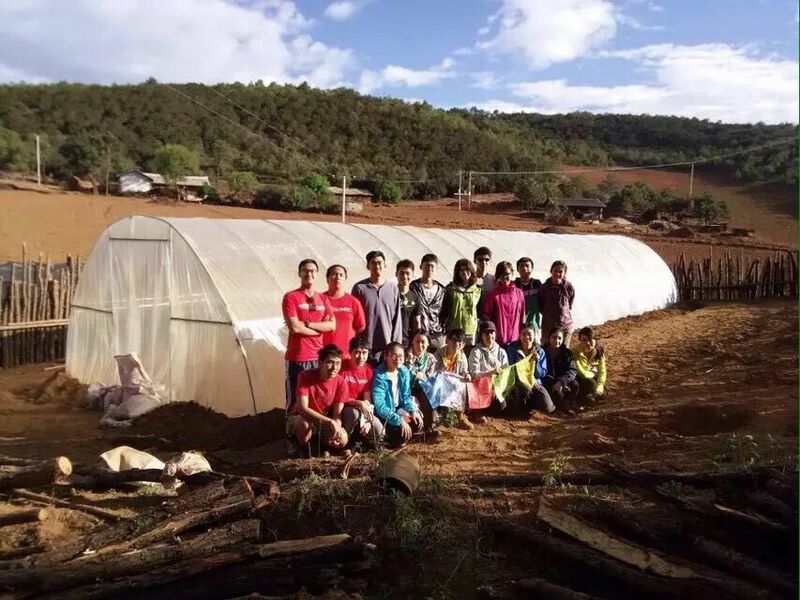 A few days later we welcomed a group from the Singapore American International School, who were the second group to participate in our greenhouse building project in the remote Yi mountain villages. 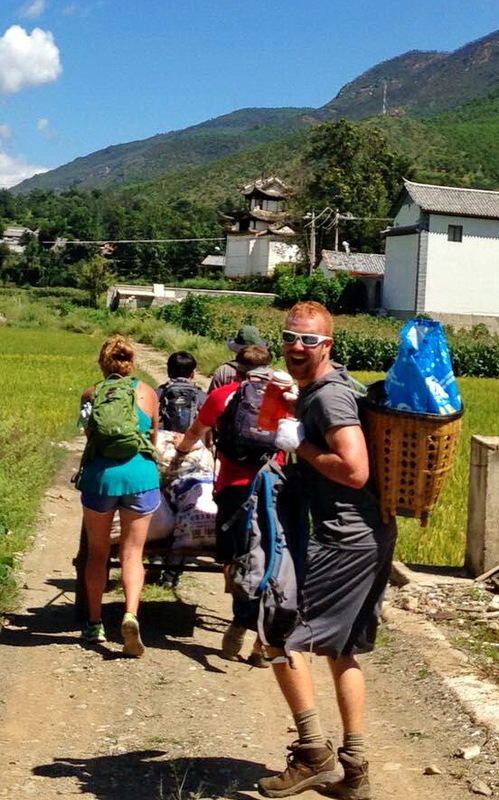 Led by Dragonfly from Hong Kong, who specialize in Shaxi service learning and outdoor education, the students departed from the Li Family, hiking up for three hours to nearly 3,000 meters to the windswept plateau where Yi people, in these harsh conditions, grow mostly tubers and Chinese medicinal herbs. 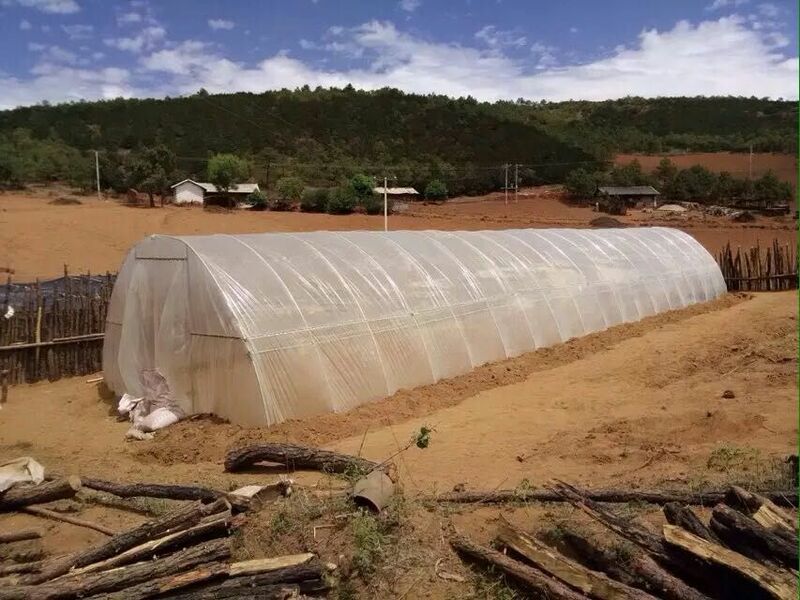 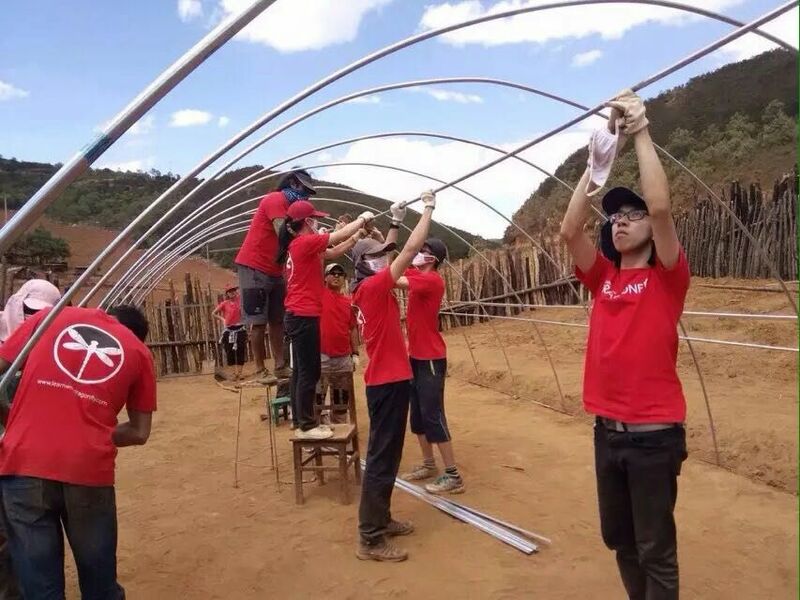 Our expert Bai guide, Li Han Mei (Apple), using local designs, helped purchase and together with a local farmer, oversee the construction of the 20m long greenhouse, which can be used to grow more diverse crops in the long winters up in the mountains. 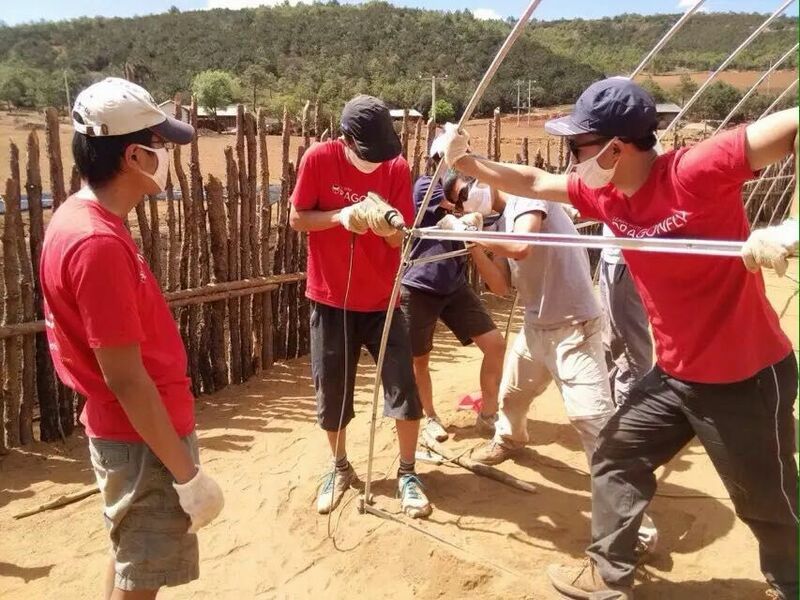 This week we welcome 96 Hong Kong students with Dragonfly who will expand on our greenhouse building project.